Gear up for the holiday season by making room on your calendar for transit-friendly events throughout Grand Rapids. The days are growing shorter and the weather colder. But staying inside doesn't have to mean missing out on fun events and destinations throughout the city. Music, shopping, theater, cocktails -- November has it all. As you gear up for the holiday season, make some time for you and your family to appreciate local events. 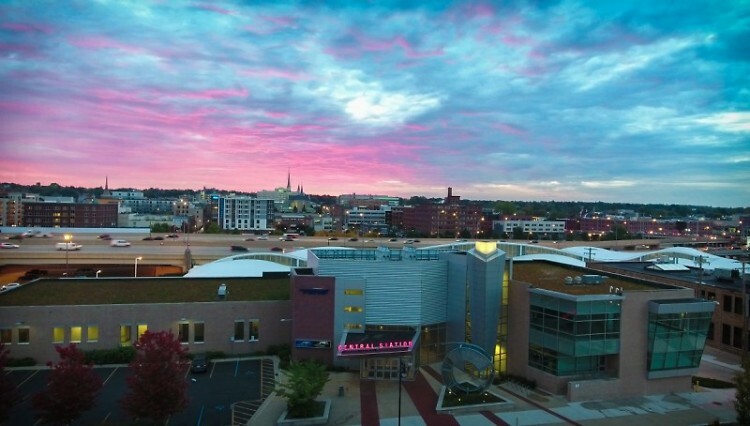 Whether it's enjoying a drink special during Cocktail Week GR or catching Beauty and the Beast at Grand Rapids Civic Theatre, there's no shortage of arts and culture to fill your calendar with this month.The best part is that you don't need to drive your car or deal with parking to enjoy these destinations. Avoid the hassle of parking downtown and ride The Rapid to DeVos Performance Hall to see Steven Spielberg's heartwarming masterpiece. Experience all the mystery and fun of the unforgettable adventure of this beloved movie that captivated audiences around the world, complete with John Williams’ Academy Award®-winning score performed live by a full symphony orchestra in sync to the film projected on a huge HD screen. This production is running from Nov. 4 - 6 with tickets starting at $18. On Friday, November 4, grab some friends and ride Route 13 to Diamond Street Hall for this multi-vendor event and party. Shop from local consultants of brands like Stella & Dot and Scentsy, as well as local craft vendors. Enjoy access to a cash bar, snacks and free samples while you shop. This event is free and there will be multiple giveaways, raffles and amazing prizes. Route 13 can get you there. Plan your trip. From November 9 - 20, get a taste of Grand Rapids' cocktail culture by sipping local at bars throughout the city and suburbs. Get two Michigan cocktails and a shared-plate appetizer for $25 or less at more than 30 participating bars and restaurants. Cocktail Week GR is a great time to check out new bars and visit your stand-by favorites. Based on the Academy Award®-winning, Disney animated feature. Don't miss this production of this tale as old as time at the Grand Rapids Civic Theatre. Recommended for audiences age 6 and up. Get your tickets now! Prices range from $18-$37. Routes 1, 4, 6, 13,14, 15 & DASH can get you there. Plan your trip. Head to DeVos Place to celebrate culinary crafts from Nov. 17- 19. 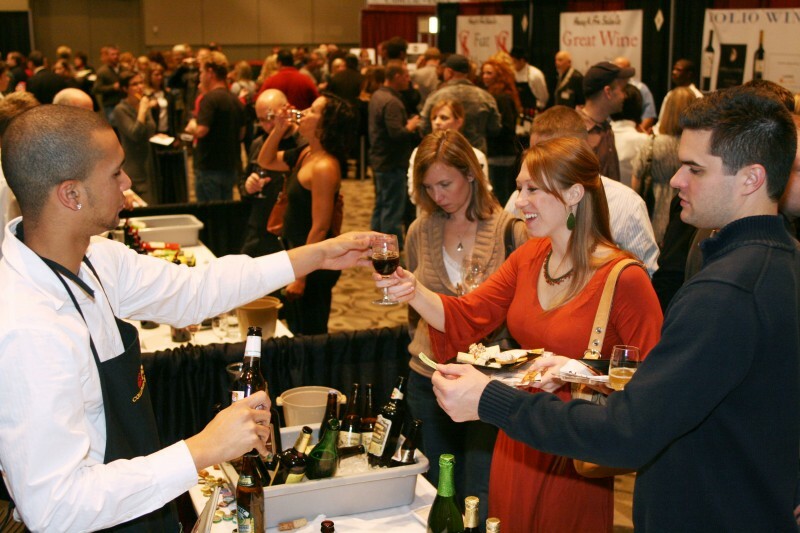 There you'll find the largest wine, beer and food tasting event in the Midwest featuring more than 1,500 wines, beers, ciders and spirits! The International Wine, Beer & Food Festival will deliver a grand experience that is sure to please every palette. You can purchase a ticket for single-day admission for $15 or $40 for three-day admission. The snow and cold are due any time now. But Downtown Grand Rapids Inc. isn't letting the change in weather ruin a chance to enjoy great movies. They've teamed up with the Urban Institute of Contemporary Arts (UICA) to bring you your favorite winter-themed movies. Enjoy a selection of holiday films for free in the UICA Movie Theatre on Nov. 5, 12 and 19. Routes 1, 4, 6, 14, 15 & DASH to get there. Plan your trip. Discover the world of whales at the Grand Rapids Public Museum! The exhibition is a unique blend of science, storytelling, and innovative interactivity that's fun for the whole family. Be one of the first people to enjoy this exhibit by visiting this month! Admission for non-member adults is $13 and $8 for children ages three through 17. Ride Routes 7, 9, 12 & 50 to get there. Plan your trip. A.M. Yoga at Founders Brewing Co.
Join A.M. Yoga at Founders Brewing Co. on November 26 for a morning of yoga and beer in the Centennial Room. For just $15 + convenience fee, guests will enjoy a one-hour guided yoga session. After the session, you will be given a ticket for a free pint of beer is included in the ticket price! Founders is located directly across the street from Rapid Central Station. Plan your trip. The B.O.B. is welcoming music lovers to their newest venue, The House of Music & Entertainment. Enjoy live music with an easy going atmosphere, approachable menu and classic beverage list. November's performance line-up offers music for everyone to love. Ride routes 1, 4, 6, 9, 11, 12, 13, 14, 15 and more to get there. Plan your trip. The holiday season is upon us, which means it's time to relive this Peanuts! classic. Go behind the scenes at the Grand Rapids Public Museum for a look at the making of the animated classic, A Charlie Brown Christmas. Entrance to this exhibit is included with general admission to the GRPM and free to museum members. See you on board this month!